Previously called INO Records, Fair Trade Services over the years has been a label that as housed many popular bands and solo artists. From previous artists on the roster like 33 Miles, Todd Agnew, Addison Road, Mark Harris, Fee, Heather Williams, VOTA and Darlene Zschech, to current artists on the roster like Newsboys, Phil Wickham, Hawk Nelson, MercyMe, The Afters, John Tibbs, Laura Story and Audio Adrenaline; newcomer to this ever expanding yet equally revolving artist roster is Micah Tyler. 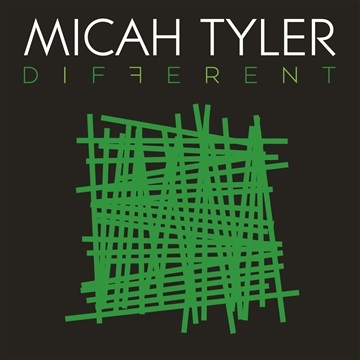 No stranger to music, Micah has been a full-time musician- starting in music at 2011, and self-teaching himself guitar during his 20s while serving as a student pastor at his church, we fast forward a decade to see him release his first label EP, titled Different. Micah has nevertheless found fame even prior to his new EP release, with his popular youtube video titled ‘Millennials’ garnering praise as this touch-in-cheek song that reminds us all, of where we are as a generation of people who somewhat find ourselves removed from faith for one reason or another. In fact, it is this video that, while it can seem a little different as Micah pokes fun at ‘millennials’ and how they live their everyday lives; will catapult Micah’s career into new heights both now and into the future. Enter in his new EP, Different. Standing at 6 tracks, Micah’s style akin to that of artists like Bebo Norman, Shawn McDonald, Shane and Shane or Matthew West; is what I reckon will, alongside the viral video, make Micah’s career shine as his heart for telling his own story and that of Christ is heavily evident within these 6 songs! The first radio single from the EP, “Never Been a Moment” is a reminder to all of us that even during the moments where we may feel like God is far away from our circumstances, He isn’t. As CCM and pop as you’d get with any song fit and primed for radio airplay, Micah’s voice that reminds us of artists like Dan Bremnes and JJ Weeks Band, tells us all a story of how ‘…I’ve been a sinner, I’ve been a saint, a little bit of both every single day, I’ve been lost but somehow I’ve been found…but when I look back from where I’m standing now, there’s never been a moment I was not held inside Your arms…’; as we are brought into the theme of God standing by us, often during the most difficult times where we may not see Him in action. As personal as it is impactful, Micah’s first single on Fair Trade Services is as encouraging as hopefully it will be life-changing, and maybe even a certainty on WOW Hits 2018? (I know it’s too early to predict, but that’s me, banking on this song being included on next year’s annual compilation!). As said by him personally, ‘…five years ago, I was a youth pastor in a church, my wife was a school teacher, we had two kiddos, and we were basically living the dream. But all of the sudden, the Lord put it on my heart to step out in faith and pursue music full time – traveling and ministering to people in that way. In the midst of all that – even in the face of fear – we just tried to be as obedient as we could. We sold half of what we owned and started trying to plug away at just loving the Lord through this new phase of life. Fast forward back to the writing room, and I realized that every single time my family has looked ahead and saw a sacrifice that had to be made, we’ve always looked back and seen the Lord’s faithfulness…’ “Never Been A Moment” is a testimonial song, and a reminder that in every moment and season, Christ is there. A song that’ll continually be on my iTunes playlist for weeks and months to come, “Never Been a Moment” is such a song that sadly didn’t make my top 30 songs list, but would’ve, if I uploaded that now instead of then. Throughout the rest of the EP, Micah delivers stories and different stylistic moments of uniqueness as we see the father of 3 invite us all into a place where we can commune with God, irrespective of the song that we listen to on this 6 track EP. As Micah imparts to us, of how ‘…I try very hard to make a habit out of guarding my heart from ‘tomorrow.’ When I first started my life as a musician I had to be careful not to get wrapped up in trying to “make it.” I had to put to death the pursuit of lifting my name or my music above my calling. I’ve learned if I spend my days dreaming and pursuing the stages and platforms that I could reach “one day,” then I’m missing on the opportunities to be faithful today…’, we see the song “Directions” being born from this idea- that we need God’s direction in our life constantly, and that whatever we chase that is not of God is going to be a wasteful one. Originally on the God’s Not Dead 2 Soundtrack, “Directions” is as poignant as it is encouraging, with Micah enveloping us all into this theme of changing direction in our lives, but only under the help, guidance and counsel of God Himself during such times. A great song for us to reflect upon, “Directions” for me is also a standout, alongside the first radio single on Different EP. “Different” the title track, reminds us all that it is ok to be different, and often, the Lord calls us to be set apart and unique compared to whatever the crowd is into. A song that reminds us all that God calls the unique, different, interesting, strange, quirky and peculiar to further His kingdom, often the most; Micah challenges us to live like Christ did- to be different and embrace what we have to offer the world as something that will allow us to excel more in His grace and mercy, as we embrace the differences we all have instead of using that as a hinder to stop sharing God’s love to those surrounding us. The acoustically driven hand-clap littered “Even Then” allows us to dwell upon the fact that God is with us in the circumstances that are great, poor, uncertain and often than not, hurtful and hopeless, as God is a God of ‘even then’- that even during the direst of moments, He is still there; while the emotional “Last” is such a song that Micah wrote with a lot of feeling and passion attached to it. With the song borne from a moment a year ago when one of the most Godliest men Micah knew unexpectedly went to be with Jesus; “Last” is a song that touches upon death- and how we all ought to live each moment as if it is our last. A song that is of a similar theme to Steven Curtis Chapman’s songs “Last Day on Earth” as well as “Next Five Minutes”; Micah finishes his EP with “The Story I Tell”, a re-recording of his song from his 2013 album. A track that lends to us a way of unveiling biblical stories to listeners in a way of telling us often the forgotten stories of many people in the bible that may have been overlooked for one reason or another, we are reminded through this track that every story is worth telling, no matter how insignificant we believe our stories to be. Even in the bible, there were some men and women who indeed thought their stories weren’t worth telling, yet God still used them, the people who were different, as vessels of His love. A reminder that God can indeed use our stories even if we believe He can’t, this is a perfect way to end such an impactful and emotive EP, one that I reckon will be on my iTunes playlist in months to come. And while Micah may not be a household name…yet; his music is still worth a listen- at least once. With such passion and enthusiasm, this 30-something father of three is undertaking a career that it different and scary, let alone unpredictable. Yet as many of Micah’s songs remind us, it is the people who dive deep and pursue the wacky that God will use in ways we may not understand. Directions EP is such an EP, and if I were to write my top 20 EP’s list, Micah’s EP, alongside Emma Mullings’ Skinny Roads EP and Josh Wilson’s Acoustic EP, will all be shoe-ins! A great way to end of a great year of music, Micah’s music ought not to be missed if you are a fan of pop, acoustic, CCM, and anyone who loves artists like Shawn McDonald, Shane and Shane, or MercyMe!